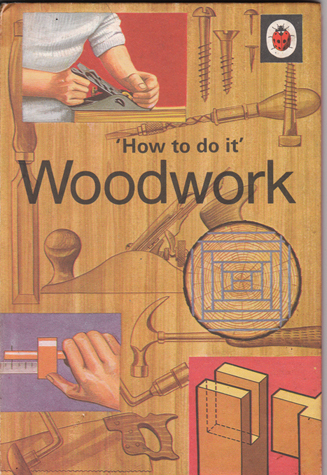 Description: Woodwork is one of Man's oldest and most enjoyable crafts. This carefully planned and beautifully illustrated book provides a wealth of background knowledge and instruction which will be invaluable to beginner, young or old. Map of the world depicting hardwood (deciduous) and softwood (coniferous) areas plus a list of trees belonging to each genus on front pastedown and endpaper. Rear pastedown contains an illustrated guide to 6 common types of nail. As is the case with most matt board Ladybirds, the corners and spine have been bumped. There is also some minor rubbing to the spine. The rear board has some minor rubbing and a light 'scar' left after a ballpoint pen or similar implement. Internally, the book is in excellent condition: completely free from marking or foxing, whilst the binding is extremely tight. Measures 17.5 cm × 11.5 cm (7″ × 4.6″). 12mo. 51 pp.